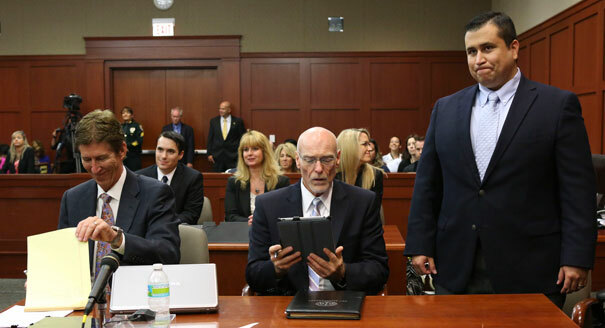 Immediately after the jury handed down its shocking, 'Not Guilty' verdict in George Zimmerman’s murder trial, social media, TV news and every urban street corner erupted in shock, disbelief and outrage at the jury’s unfavorable decision of allowing Zimmerman to walk free. Although it took the state of Florida months to bring charges against the neighborhood watch leader for the murder of 17-year old, unarmed Trayvon Martin, most of us believed that once all of the evidence was presented in the case that no one could deny Zimmerman profiled, harassed and ultimately murdered an unarmed, black teenager who was walking home from purchasing a pack of skittles and an iced tea. We believed this not because we are living in a post racial America, as the result of having elected a black President, or because black men have finally been accepted as an equal member of American society, because neither is true. We expected justice for Trayvon Martin because it was so obvious to us what occurred on that tragic evening in 2012 and we had to believe that a jury would see this as well. The harsh reality of how much of white America views black people, particularly the black man was never more apparent than in this mostly white, all women jury’s verdict to acquit Zimmerman. Trayvon Martin was viewed by that jury as exactly what the defense attempted to portray him as--America’s worst nightmare--a young, black troublemaker. Yet those of use with half a brain have surmised from the evidence presented during the trial that Trayvon had EVERY right to do what he was doing that evening, and that if anyone was at fault in the matter it was George Zimmerman, who incited a verbal conflict with Trayvon, which ultimately became violent, ending with the death of a child. The verdict was not only a tragedy for the Martin family, or even to the black community as a whole, it was a tragedy for those who naively believed that we were living in a post-racial America as well as those who have fought and continue fighting to make America a society who does not see race. But now the verdict has been handed down and we should just accept the decision and move on. We rallied for a trial and we got it, so we should be satisfied, even if the decision was based in deep seeded and potentially subconscious racism and the perpetuation of a negative and mostly false stigma about black men. Even our black President, who upped the antees on the case last year, showing that he identified with the black teen, has pleaded with his biggest supporters to accept the verdict and essentially have faith in the criminal justice system. We should be satisfied. The good thing is that no one is satisfied. Everyone wants to know what the next step is and how we can hold Florida, George Zimmerman, society accountable for the death of another one of our children. Here are a few steps we can all take to continue fighting for justice for Trayvon and his family. 1. Boycott Florida Tourism: First and foremost, do not spend a dime in Florida. If you’ve booked a trip to Miami, or had planned on taking the kids to Disney World, I’m sorry but we are going to need you to cancel that trip ASAP. Florida has proven time and time again that it does not value its black citizens and that they are dispensable. Since the only thing these people understand is money, we can at least make sure they do not get ours. Black people are the biggest consumers in the world. We spend, spend, spend on products owned by people who hate us. We are the biggest victims of the social engineering practices of the advertising and entertainment industries. If we stop spending money in this country for a week I imagine we could cripple this country’s economy. All we are asking is that you stop supporting Florida tourism. You can travel to a caribbean island for about the same price anyway and stay at a beautiful all inclusive resort. 2. Sign The Petitions: Quit being lazy and sign the petitions you see circulating online. They’re calling for the US Department of Justice to bring charges against George Zimmerman for violating the civil rights of Trayvon Martin. This was the “plan B” in case Florida decided not to do the right thing. 3. Wake Up And Pay Attention: There are other cases similar to the George Zimmerman murder trial that we need to rally behind, many of which are just as important to the struggle. Marissa Alexander, a black woman, was sentenced to 25 years in prison for firing a warning show in her home, while in a conflict with her abusive husband. Alexander invoked Florida’s “Stand Your Ground’ law, but to no avail. Apparently this law is reserved for the person who actually kills their enemy. Also in Florida Michael Dunn, a white man was arrested and charged back in November, with the murder of 17-year old, unarmed, black teen, Jordan Davis in Florida. Sound familiar? The argument was apparently over loud music. Dunn initially tried to invoke the ‘Stand Your Ground’ law, by saying he thought the teen had wielded a shotgun. 4. Mentor And Help Educate Black Children: It is no secret that the prison system is disproportionately filled with men and women of color, many of whom are inside for petty drug offenses. Much of the reason for this, outside of the prison industrial complex and the new Jim Crow, is because our children are not being educated or even raised in some cases. The criminal justice system, education system, prison system, etc is hell bent on keeping black people in their place. Laws like "Stand Your Ground," give WHITE rednecks like George Zimmerman the justification to make sure we stay in our place. I spent the last school year mentoring a group of High School kids in Washington, DC and it was one of the most rewarding jobs I have ever had. I can attest to the fact that too many of our black children are in desperate need of mentorship and there are not nearly enough willing mentors around to satisfy the demand. 5. 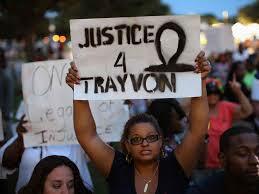 Support: Donate to the Trayvon Martin Foundation. George Zimmerman raised over three times as much money for his defense as the Martin family, which is a clear indication as to how far America has come in matters of race. Text TMF to 50555 to donate $10 to the Trayvon Martin Foundation. What are some other ways we can ensure that Trayvon Martin's murder is not in vain and that it does not go un-punished?